Together with partners Lidaris successfully completed a joint research project Trust. 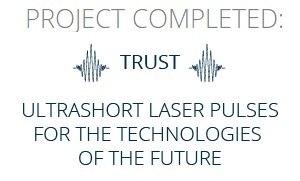 The two-year project TRUST that was dedicated to the research of ultrashort laser pulses application for technologies of the future. As a result new femtosecond laser system was delivered to the market. Visit us on 20-22 of March in Shanghai, China. Visit us on 15-17 of May in Frankfurt, Germany. It’s a good place to talk about laser damage! threshold value in nanosecond regime at 355 nm wavelength. On the 1st of March 2017, Lidaris joined a new research project with two worldwide known high-tech companies: EKSPLA and OPTIDA. 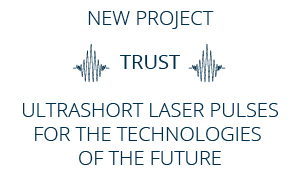 The two-year project TRUST is dedicated to the research of ultrashort laser pulses application for technologies of the future. 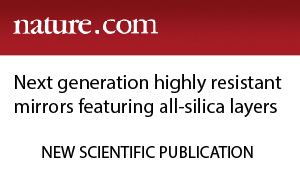 It aims to develop an extremely powerful femtosecond laser system. 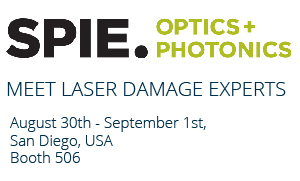 Meet Laser Damage Experts at Laser World of Photonics 2017. The only trade fair that covers all photonics sectors. June 26-29 in Munich, Germany. Visit us to get Your Laser Damage Survival Guide! 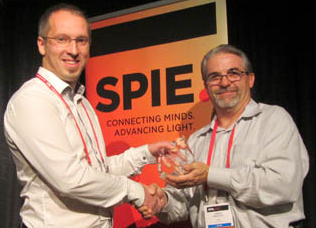 Meet LIDARIS at SPIE Optics + Photonics Exhibition. 30th August – 1st September in San Diego, USA. It’s a good place to talk about laser-induced damage! 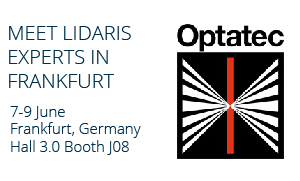 Meet LIDARIS at Laser World of Photonics. June 7-9 in Frankfurt, Germany. On the 15th of January 2016 Lidaris and European Space Agency (ESA) have started a new project ESPRESSO, which is focused on ESsential PREparation Steps for Qualification Longevity of Space Optics. Lidaris and ESA join forces for a two years collaboration project in order to predict optic’s longevity required by space programs. 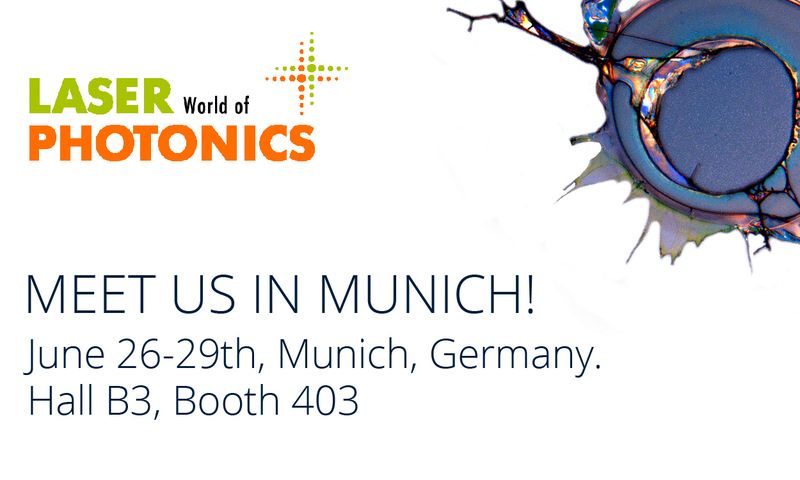 Meet LIDARIS experts at Laser World of Photonics. June 22-25 in Munich, Germany. 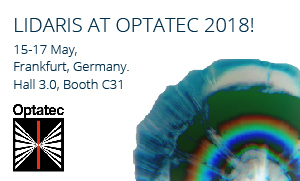 Visit us in hall B3, booth no. 407. Together with a partner Electronic Systems Department of Vilnius Gediminas Technical University LIDARIS has successfully completed an EU funded innovation project “Naujos kartos daugiakanalis kontroleris lazeriu inicijuojamo pažaidos slenksčio testavimui”. 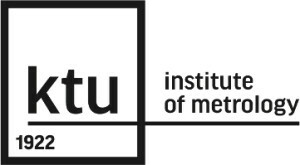 Research conducted by Lidaris team: Dr. Gintarė Batavičiūtė, Egidijus Pupka, Mindaugas Ščiuka and Dr. Andrius Melninkaitis at Vilnius University together with partners from Institut Fresnel (France) has gained international recognition. Two different contributions related to improvement of LIDT measurement accuracy as well as understanding of fundamental mechanisms of laser damage were awarded at the main international event of laser damage community at NIST in USA. LIDARIS receives an EU grant for the Project “Bandymų ir kokybės vadybos dokumentų valdymo sistemos kūrimas”. The project was successfully completed together with partner institution – KTU Institute of Metrology. The goal of the project is implementation of quality management system into operation of LIDARIS activities according to ISO/IEC 17025 – General requirements for the competence of testing and calibration laboratories.